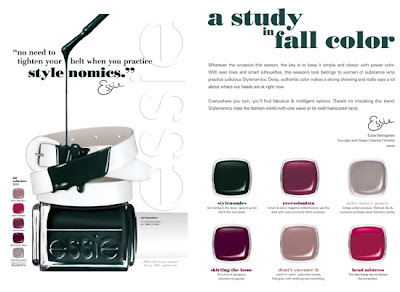 Are y'all loving the Essie Fall 2012 line as much as I am? I just picked up the four pack from Ulta last week and I just can't stop staring at the bottles! The colors are just so rich and pretty! The pack I purchased includes Stylenomics, Head Mistress, Don't Sweater It and Skirting the Issue. The smaller size bottles are perfect because I never seem to finish a full bottle and with these shades most likely being passing trends I am not wasting money on polish I won't use for more than a few years. Plus, I get four shades for the price to two regular bottles! It's really a win-win! And who keeps their nails the same color for more than a week anyways? I know personally I am way too polish-ADD and indecisive for that ;) Can't wait to try these beauties out when the weather cools down! What do y'all think about the line? I love this happy chick apk and this information was very helpful for me.